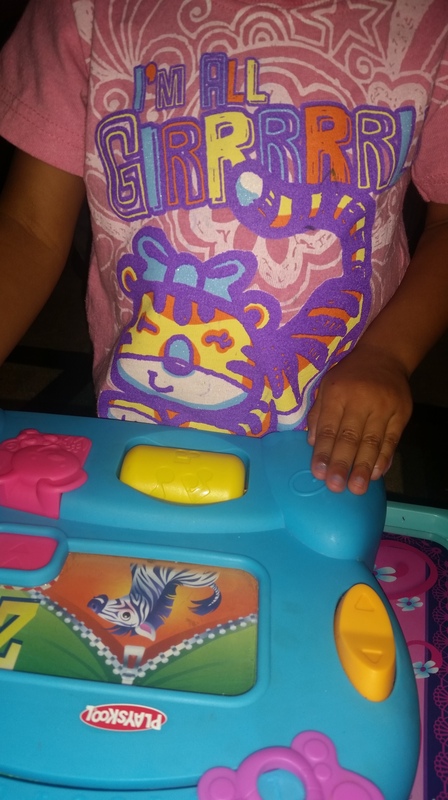 August 21, 2015 August 21, 2015 by Sheridan Johnson2 Comments on High five for Friday! I have been wanting to do something fun for Fridays, since it really is such a fun day for us (considering I have to usually work the weekends so this is my last day off, and Shane’s start to the weekend!). 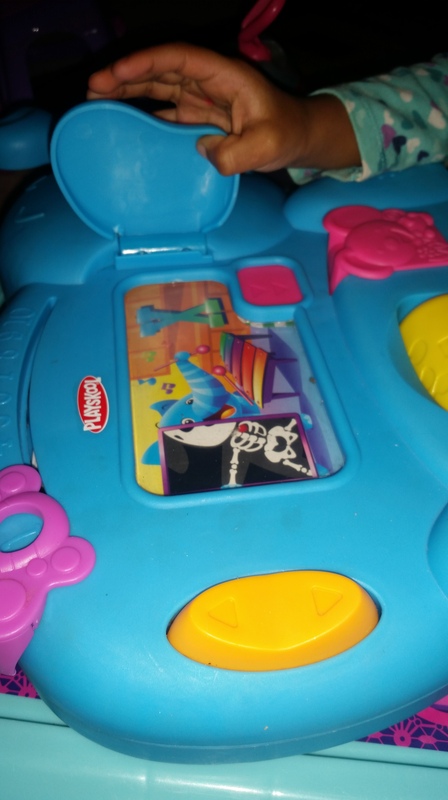 I figured this week I would do five things Brielle has been wanting to play with this week! 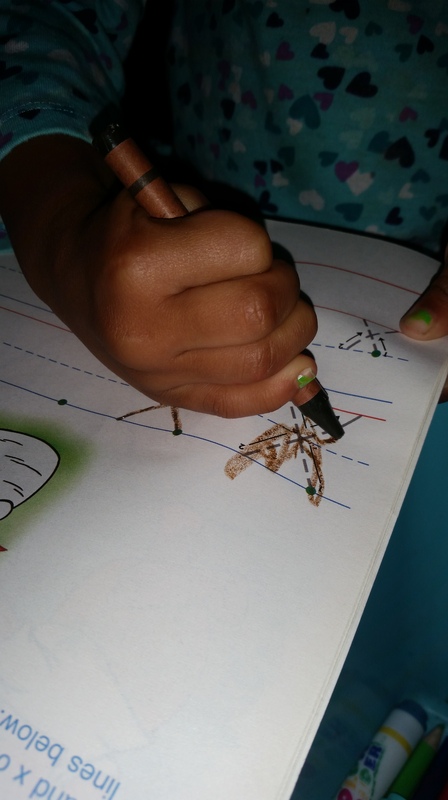 She is such a smart little girl and I always try to find new and fun ways for her to challenge herself with mentally. Our first on the list this week is liquid chalk. I have recently heard about them when I was shopping in a little boutique and I asked them what they used to write on their chalk board since it was so clean and pretty! She stated liquid chalk. I found some at the Wal-Mart in Lockhart and I bought a little board to go along with it, and it has been a hit ever since! Liquid chalk! 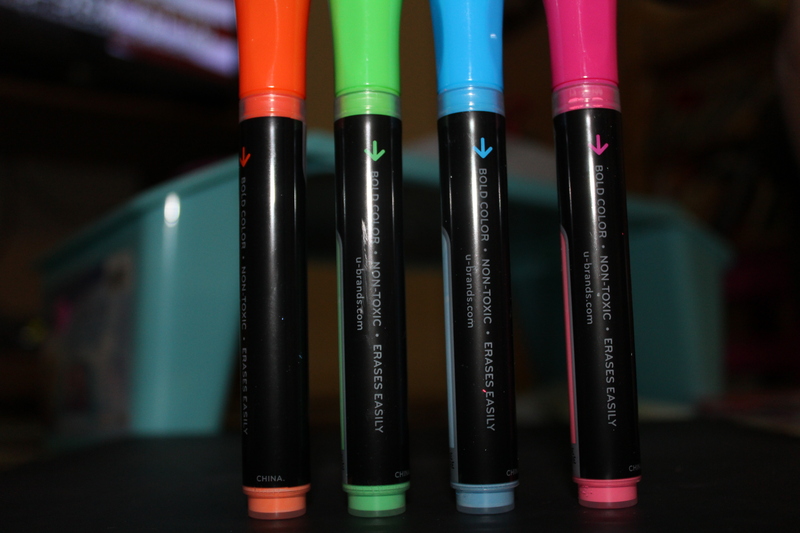 I love them so much more than regular chalk! 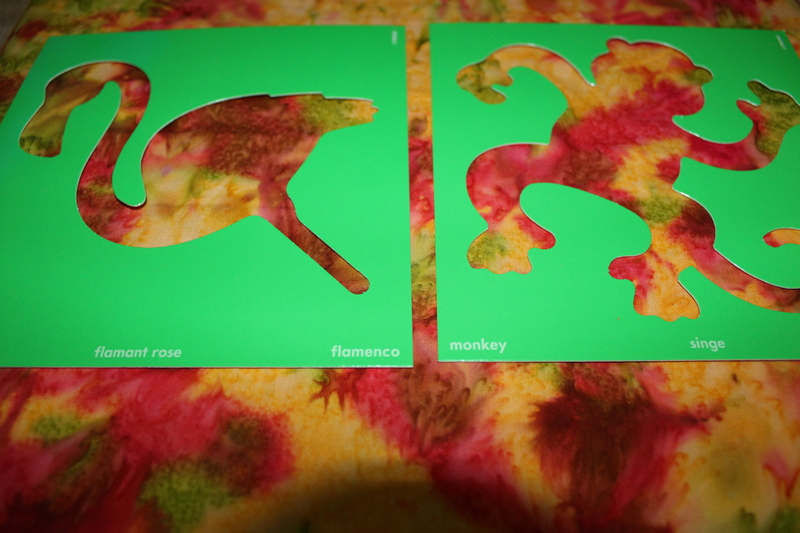 We have been using these stencils to practice with! She has been loving to carry around her purse these days. She got a cute (but definitely too expensive for me) new little purse when we were shopping at a boutique in Lockhart, before we started to head back to Yoakum. It was SO adorable and it was a momma and baby shop and so it had cute things all around, and it was hard for me to say no to so many cute things! 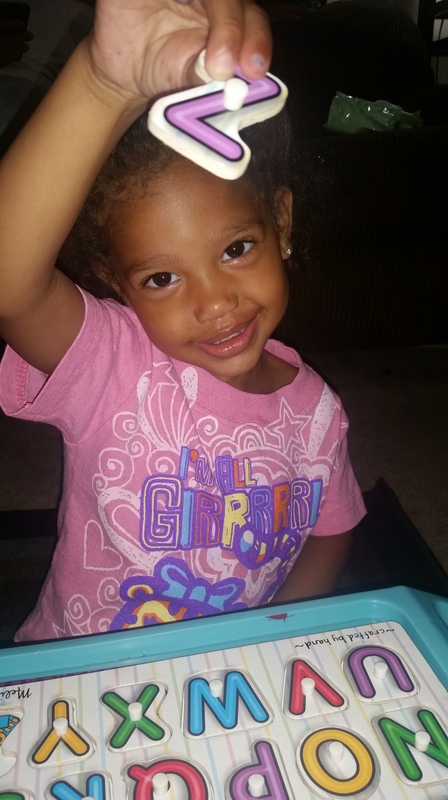 Brielle loves to carry around her little “my little pony”, her lip gloss, her coin purse (with some coins she has collected), and a chapstick. She is so adorable with it, and wants to bring it everywhere, but I make her leave it in the car. 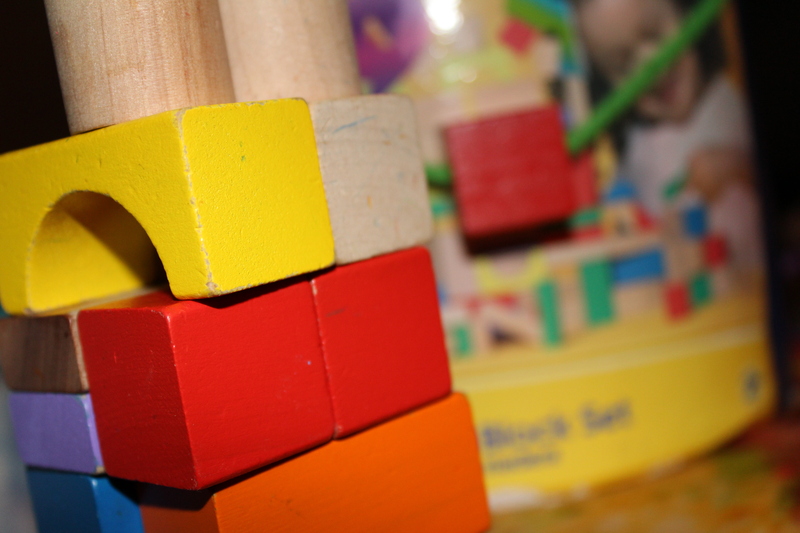 Building blocks has been an interest to her lately again as well. She has been practicing building up to 10 or more blocks at one time, and trying to make a “princess castle” all by herself without it falling down. I think it’s so cute how independent she is being and I love to see what she comes up with. trying to draw an arrow for up! 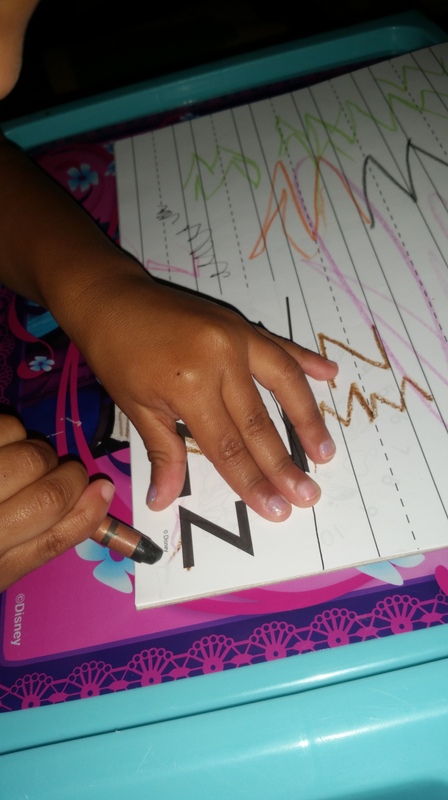 Letter of the week: Z! 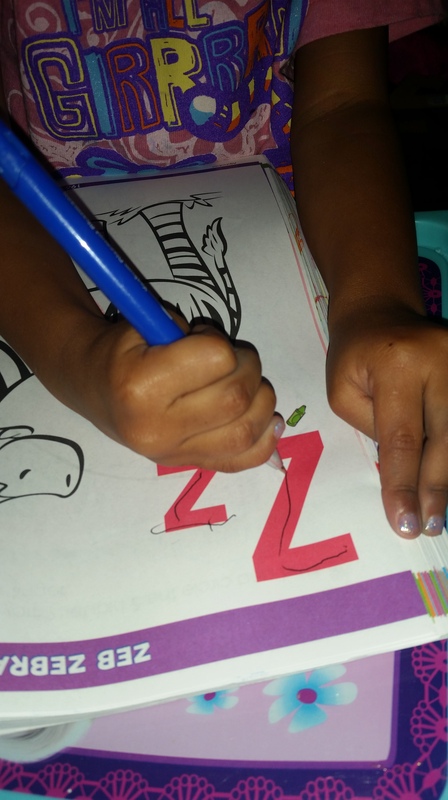 August 16, 2015 August 16, 2015 by Sheridan JohnsonLeave a Comment on Letter of the week: Z! This week was so fun and just so sad at the same time! It was crazy eventful due to her being sick and me having to work, so we literally only got about two and half days to learn this letter! 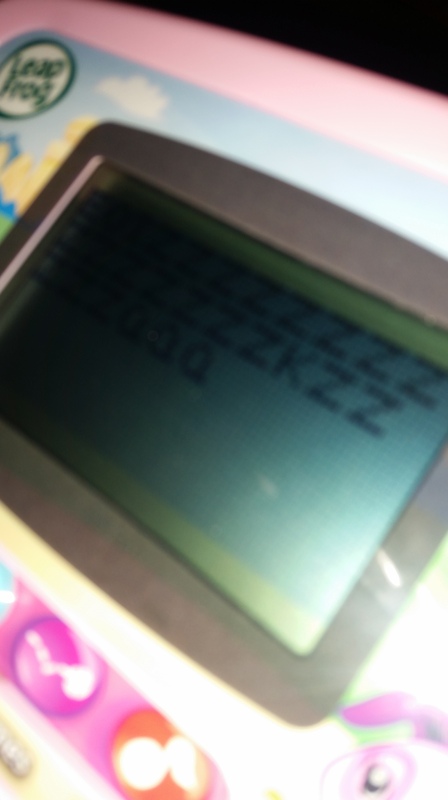 That brings me to the last post about the alphabet, Z! Z has been something I have a waited a long time for, because ever since I was pregnant with her (3 years ago(*Tear*)), I knew I wanted her theme in her room to be pink and zebra and I couldn’t wait to decorate the room! 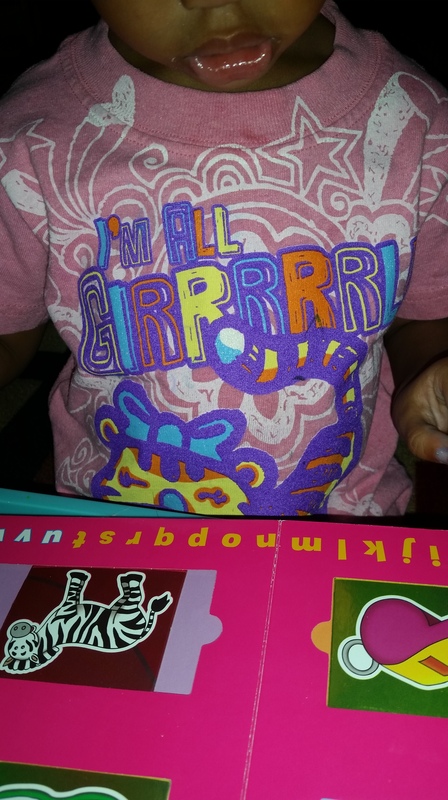 So she has known and seen zebra’s since she was a baby! 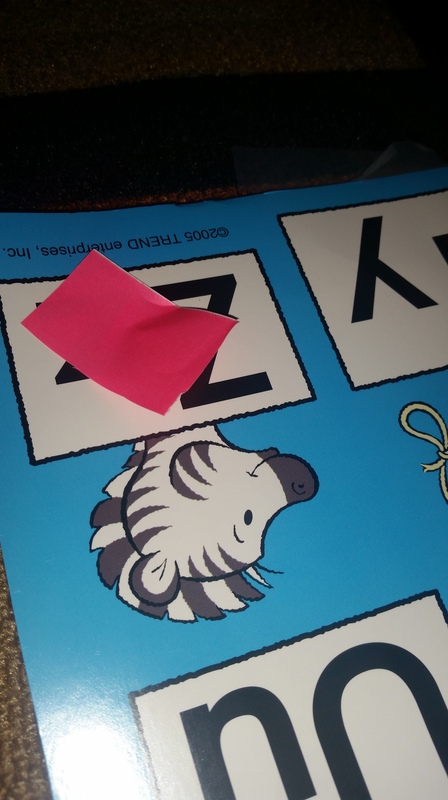 Of course, we had to start out with our first example being Z for Zebra! She is really good at knowing this and caught on pretty quickly when I said “look Brielle what does Zebra start with” and I would point to the picture in her room, and she could go “Z”! 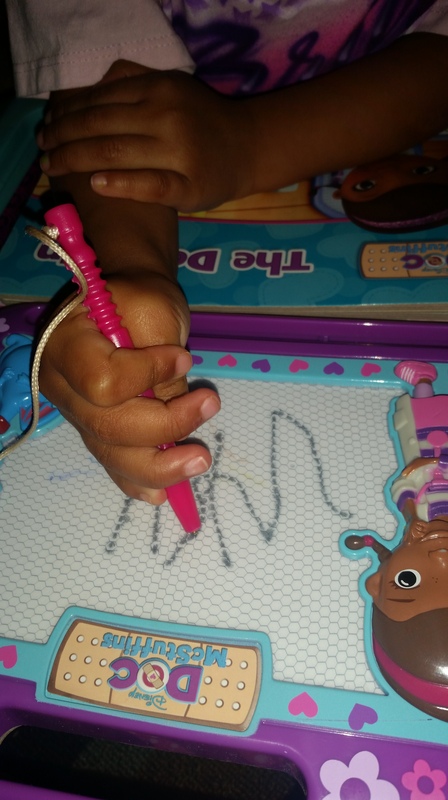 It was so cute and she could even sign the letter Z pretty quickly as well, which definitely adds to her cuteness! 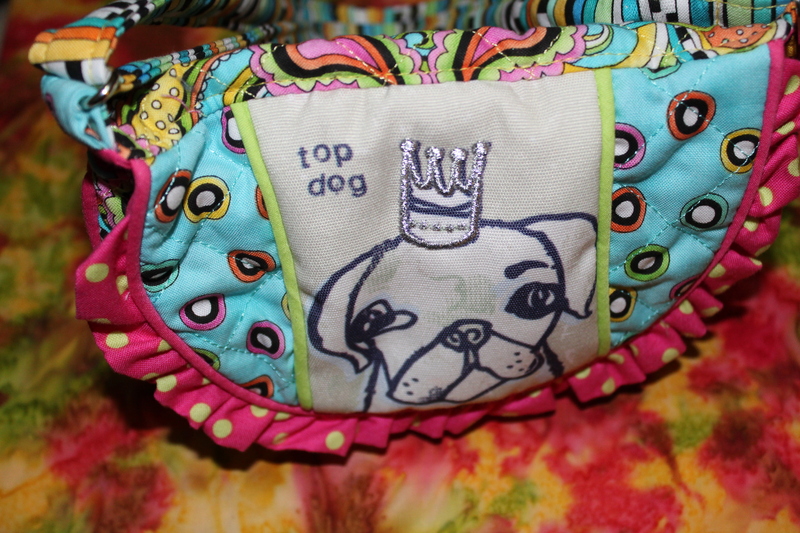 The second main example would be Z for zipper! There are so many things now that she is older, that she uses everyday, that has a zipper on it. She loves to try to zip up her little shorts, and it’s so cute because her angle when she has them on, it’s definitely more difficult to zip! She loves to try though, and she also two pencil bags (the ones the kids use in school) to hold all of her crayons, markers, scissors, etc.) that have zippers on them and she just recently learned how to open them on her own and it’s so cute! 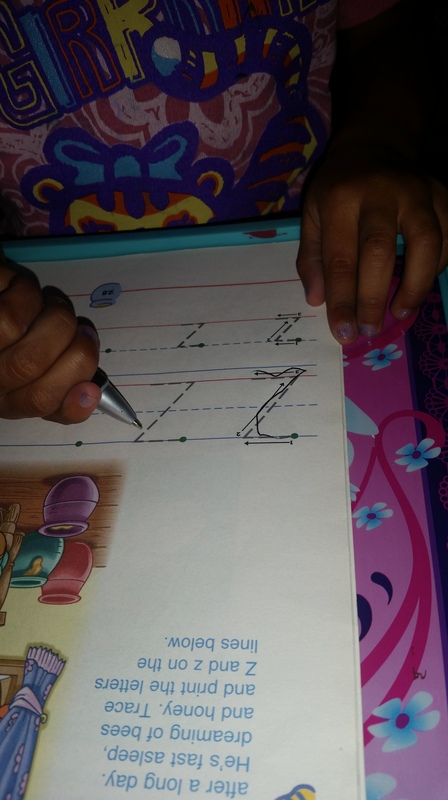 She said “look mommy, it’s a zipper and it’s starts with a z”! I couldn’t believe how quick she caught on, and I was so happy for her! 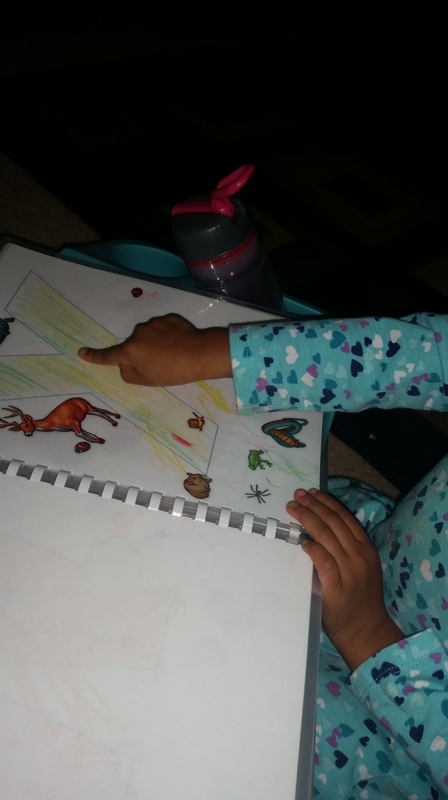 We also did a LOT of tracing since she has gotten SO much better at it, reading a lot of books and pointing out the letter Z, practicing her alphabet book, coloring and identifying the letter Z, signing Z, and practicing words that start with Z in spanish as well! She picked up “Z is for zapatos” pretty quickly and would go get her shoes. She is seriously amazing and I am SO proud of how far she has come in the last 26 weeks! I hope you all enjoyed the ride, and last but not least, here are a few pictures from the week! 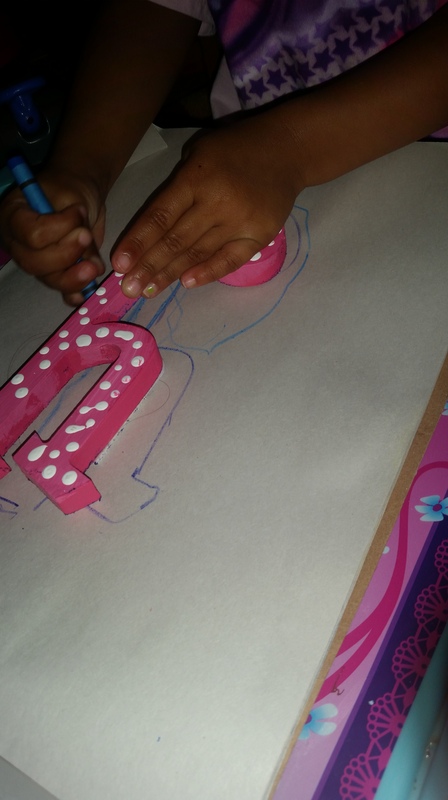 She picked out Z properly from the group of letters I set out for her. I bought her this alphabet poster from Teacher Heaven and let her put pieces of paper on the appropriate letters I would say! 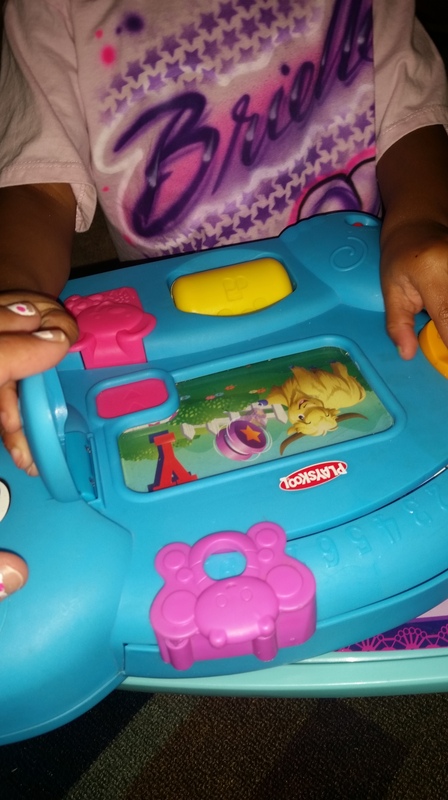 She had to scroll through this entire toy to get to Z! 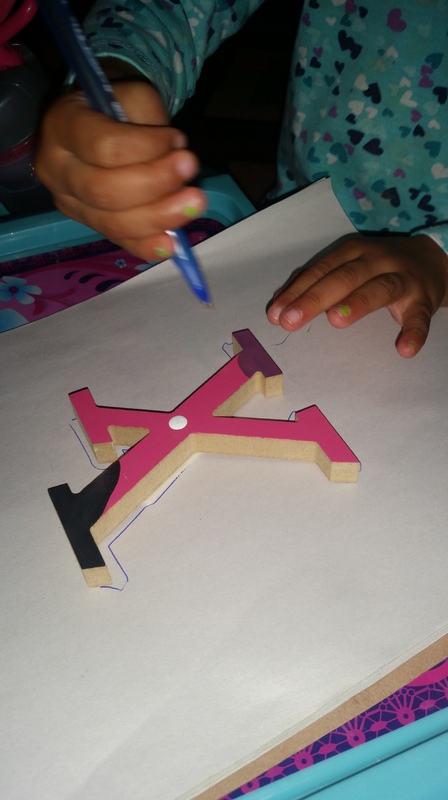 Letter of the week : Y! August 10, 2015 August 10, 2015 by Sheridan JohnsonLeave a Comment on Letter of the week : Y! This week was pretty bittersweet, knowing that we just have one more letter to learn after this!! It’s funny because when you think of words that start with the letter y, what is the first thing that comes to your mind? Mine would be yo-yo. But, in the children’s book world, they teach them yak, and yarn! My focus was more on what she would understand best, and what things she already knows, so here are the three examples that I focused on. 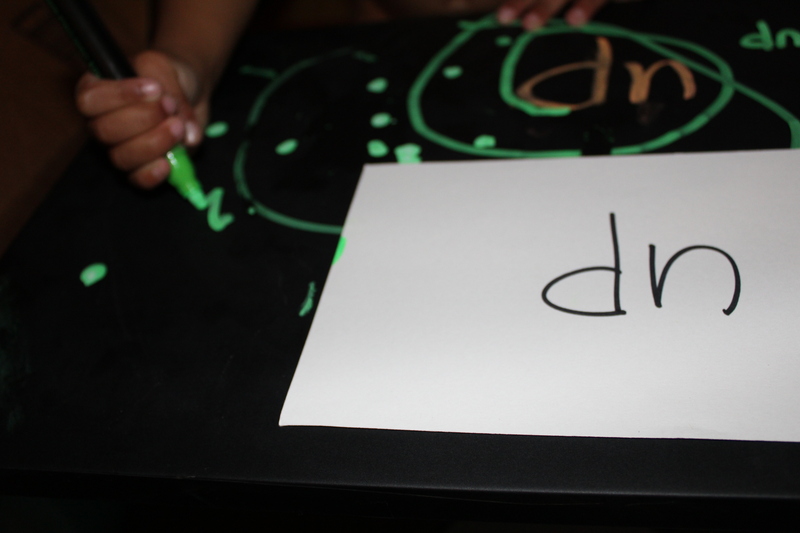 1) Yellow – she is really good at majority of her colors, so I wanted her to understand that the color yellow starts with the letter Y! I would also ask her go find me things around the house that were yellow and she would go ” here, I found this toy it is y for yellow” so cute! 3) Yo-yo was the third example that I could come up with, and we actually used to have a little one for Brielle, but I think she broke I a few months back and we haven’t replaced it. I showed her pictures in her alphabet books, I would draw one as best as I could, and of course we had stopping watch some cool. Videos. My brother had pretty much mastered the yo-yo when we were growing up and my favorite trick he taught me how to do was “walk the dog”, so of course I had to show Brielle that example! 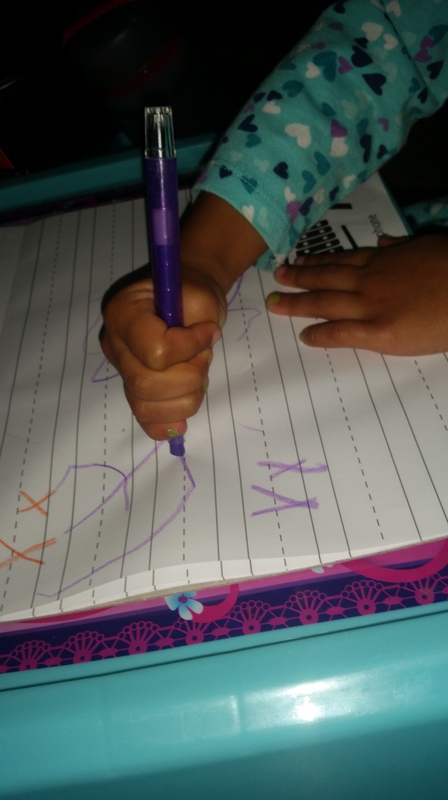 She also learned how to sign the letter (and that’s pretty hard for a two year old to do), we read a lot of books, we worked on activities in our workbook, she would trace and try to write it, and we looked at lots of pictures this week. It was such a fun week and we can’t wait to finish the alphabet with Z (zebra and pink are the theme of her room, so she loves zebras)! 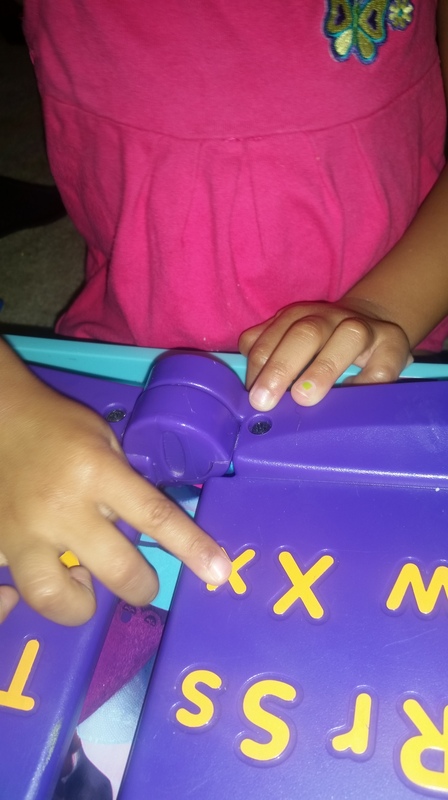 When I was thinking of what we needed to best learn this letter of the week, we were at the mall and I found these little musical instruments for toddlers/little girls for only $10! 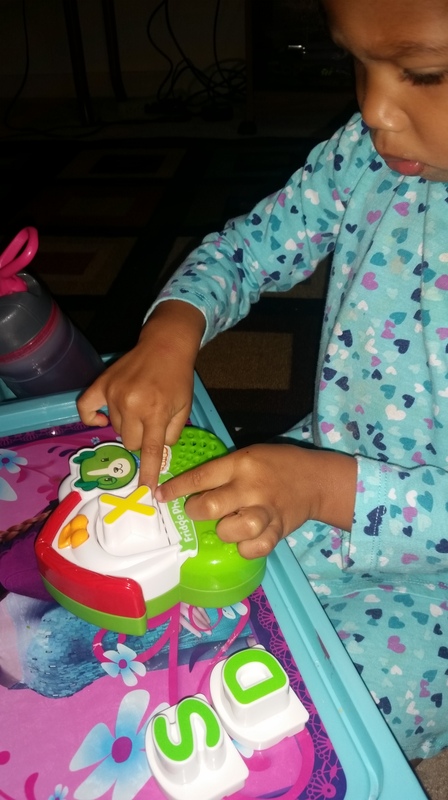 It was a great deal and brings us to our first example of the week, xylophone! 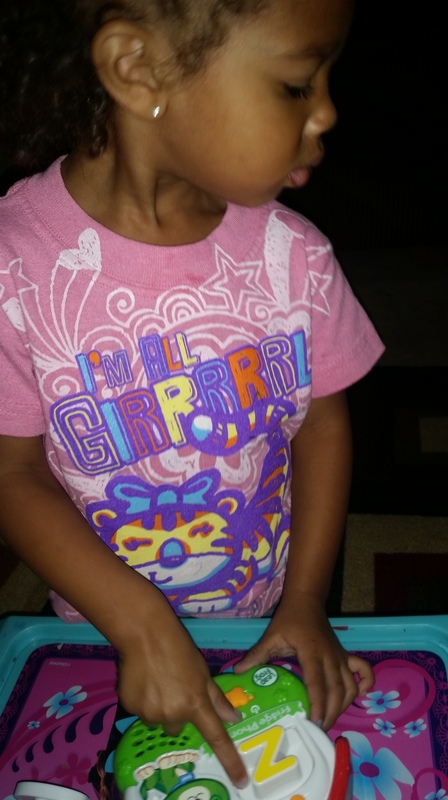 I love the little xylophone that came with the instruments and Brielle actually LOVES it too! She loves to create different music and sounds and of course try to dance with them any time she can! 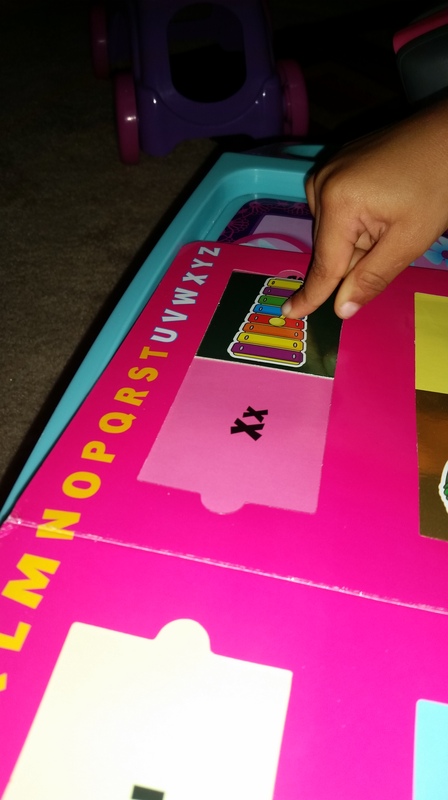 “x is for xylophone” is something that she picked up rather quickly on, and she can actually say xylophone pretty good, which took me years to say it correctly! Of course when it comes to giving examples for the letter x, there really is only two that start with the letter. 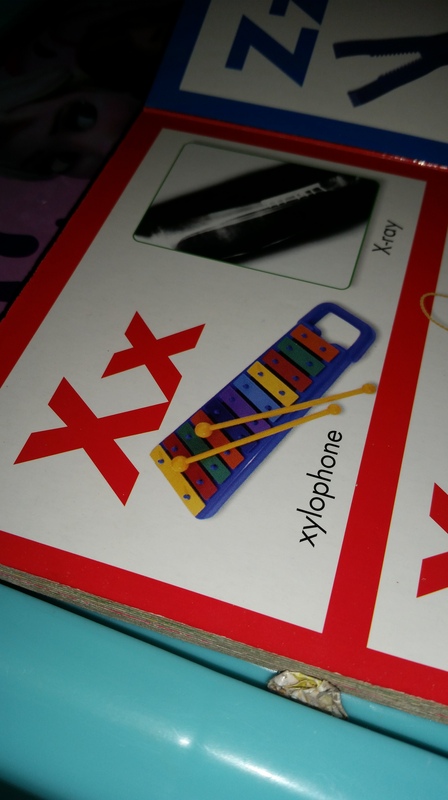 (xylophone and x-ray). 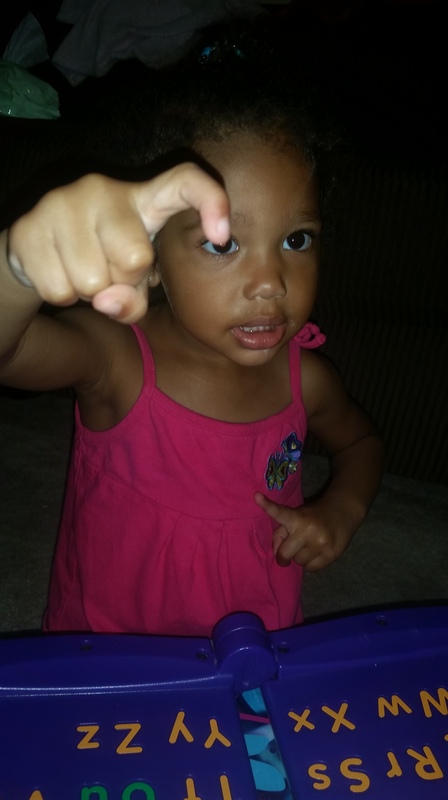 It really is quite hard to explain to a two year old what an x-ray is, when she has never gotten one before. I tried my best to remember that I am talking to a 2 year old and after teaching her, I always try to ask her a repeat question of the day’s lesson just to make sure she retained some of it, and after teaching her this, she said “where they look at people’s bones”. It is interesting how much this little girl knows and can remember, because I honestly have never gotten an x-ray for anything(knock on wood), so I have just been a witness to them, and I just want her to be as knowledgeable as possible if she ever has to encounter one. 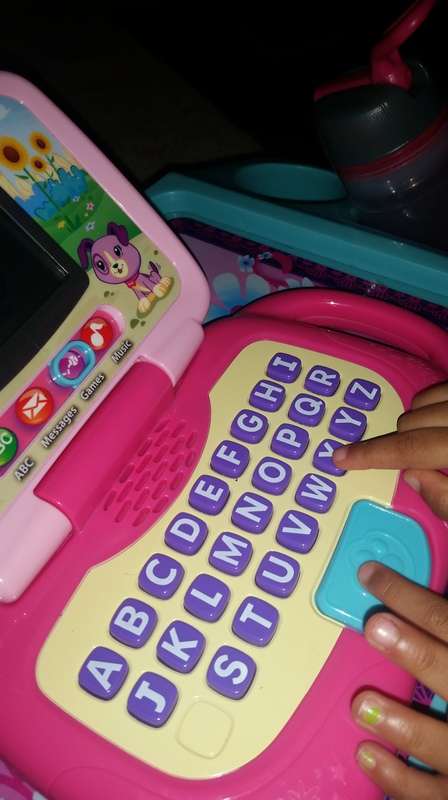 She was finding out information about the letter X on her computer! 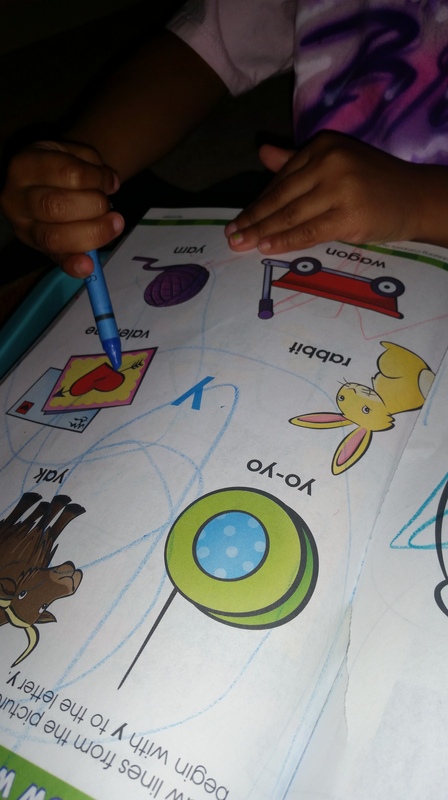 She found X in her alphabet book! She ran from the fridge and found x, and started dancing to the music! 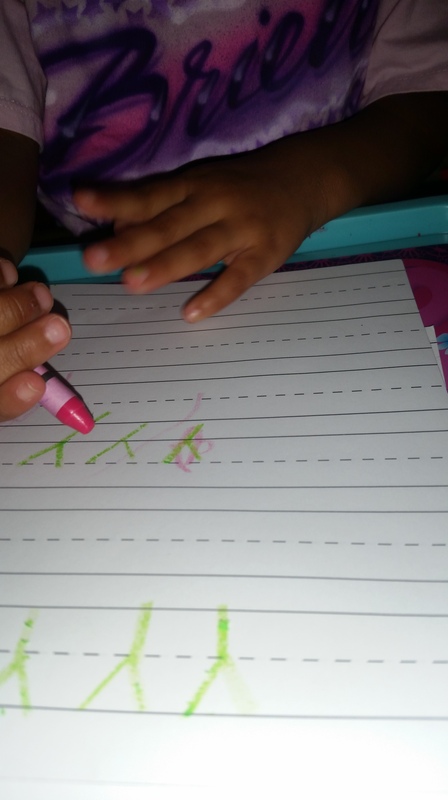 Trying to write X on her own, like mommy! 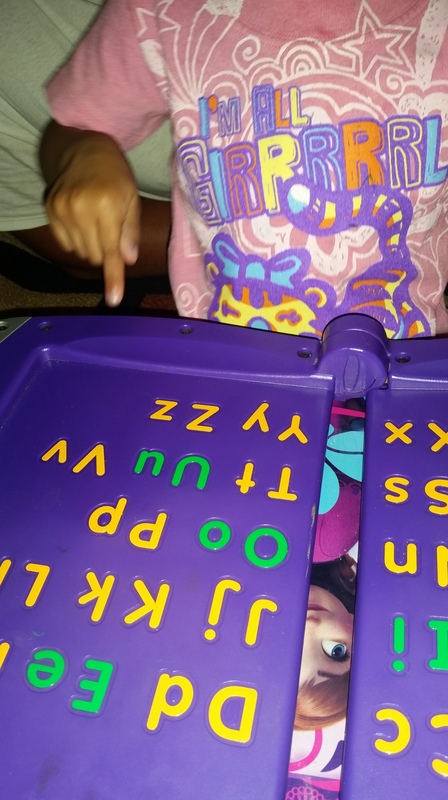 Making music by typing in the correct letters, and she got X correct! 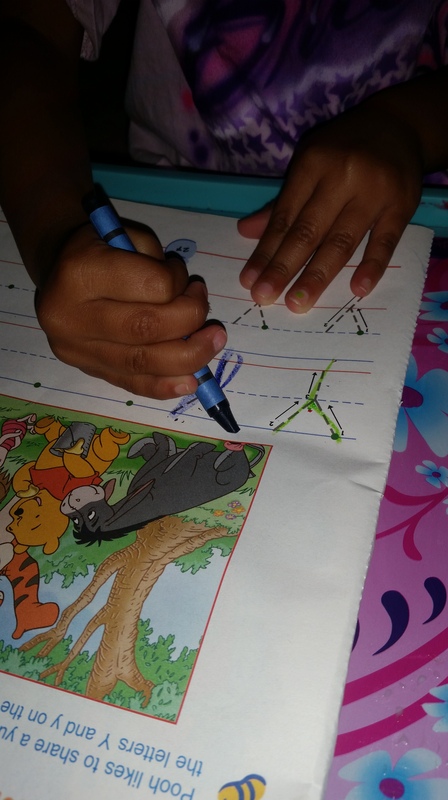 tracing our letter of the week, that comes off of her alphabet wall in her room! Trying so hard to stay between the lines.